Contact Form 7 is using fixed display size for the form fields. In the form page it does not fit the page style. 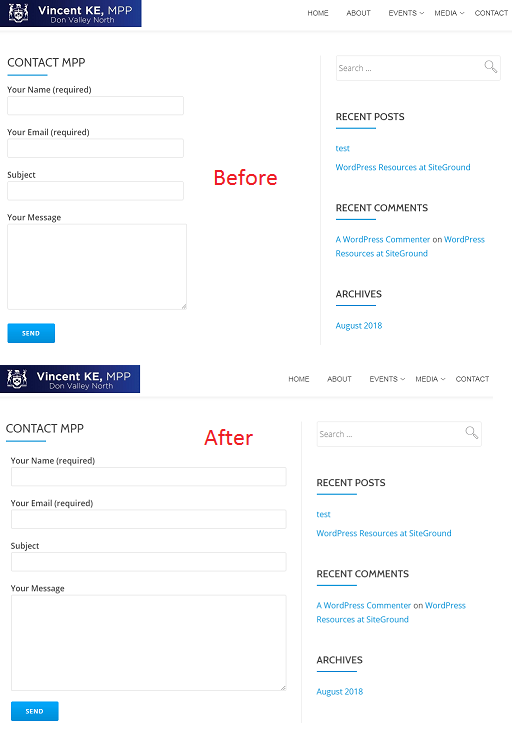 In order to make it better looking the stylesheet could be adjusted by following steps. Customize theme -> Additional CSS, add following code.